According to Urban Dictionary the phrase “Break Bad” comes from the American Southwest slang phrase “to break bad,” meaning to challenge conventions, to defy authority and to skirt the edges of the law. In reality, I’m just taking a permanent break from bad teaching. 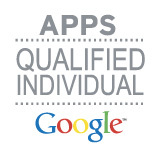 And I owe it all to getting hooked on that sweet sweet nectar that is #EdTech. I first got introduced to and hooked on that CUE Magic at the 2012 ISTE Conference(International Society of Technology in Education) in San Diego, when I went to a CUE(Computer Using Educators) morning shred session and saw Jon Corippo(@jcorippo) present on using the iPad and AppleTV as the ultimate digital swiss army knife tool in your classroom. That first ‘hit’ was mindblowing. I normally sit in the back of these conferences but this time I made it a point to walk up to Mr. Corippo after his session, thank him, and take pictures of the setup to take back to my classroom. The next day, I bought my iPad, AppleTV, Kanex HD/VGA converter and I’ve been spiraling out of control ever since. I then became a CUE member & have been attending CUE sponsored events like an insatiable junkie for the past 2 years. I’ve gone to the annual CUE Conferences, joined the local Central Valley CUE chapter, and 3 CUE Rockstar Teacher Camps in this short period of time. 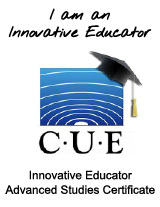 I am so far deep into this Ed Tech habit, that I even started and completed the Fresno Pacific University/CUE Innovative Educator program which just surrounded me with more Ed Tech junkies and suppliers. I recently upgraded to dabbling on Twitter(@EdCamposJr) and have even started regularly participating in tweetchats(#Caedchat). I’m sure my friends and family are planning an Intervention sometime soon. My obsession with Ed Tech is not just affecting me, it’s starting to take it’s toll on my school, colleagues, and students. I work at Visalia Charter Independent Study High School in Visalia, CA and our school was just awarded a $280,000 Charter School Dissemination grant to share best practices and improve upon our existing successful program with technology upgrades and more. I saw this as a perfect time to ask for all of the cool stuff I’ve seen at CUE events over the past few years. I contributed to our grant application by asking for whiteboard walls and desks(using IdeaPaint & Rust-O-leum dry erase paint), Schoology Enterprise LMS, MineCraftEDU, class sets of iPads, Chromebooks, and MacBook Airs with Final Cut Pro X. I even applied for and was awarded 2 small grants myself last year for a Mobile iPad Movie Studio($500) and a Mobile Music Studio($6,000). I just finished my first week of the 2014-15 school year and it has been the greatest first week start I’ve ever had. My students are feeling the effects of me ‘breaking bad’ because I see the smiles on their faces, their engagement, and their curiosity and natural inquisitiveness being piqued. In one week, I’ve had students writing math all over the walls, participating in “The Marshmallow Challenge”, and evaluating the Mullet Ratio of the Party to the Business(via @MrVaudrey). Through our grant, I’ve been able to do some tech coaching around our campus and this allows me to spread my sickness and infect others. In 1 short week, I’ve been inspired at how well our staff is adapting, learning, and being creative with our new tools. In all seriousness, it’s an exciting time to work in education, with this year being the first year of Common Core implementation and the blessing of having some amazing tools to put into our students’ hands. I’m excited to try, fail, and learn alongside my students and staff this year. Now that I’m blogging, I’m a total lost cause. Don’t even try to have an intervention. If I’m asking my students to blog this year, then I need to model it, share, reflect, and adapt right along side them. If someone asks how I came to ‘break bad’, and who taught me how to do this stuff, I’ll just say that I learned it from the people around me. Love, love, love this post. Go on wit yo bad self!